It's all the news, Twitter and other social networking sites, France will be the host of 2018 Ryder Cup. Just 3 hours ago, France won the Ryder Cup bid. 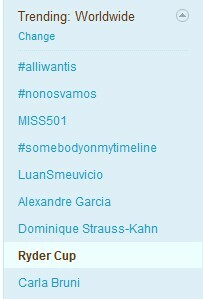 The IMF Head chose France and the news is currently trending worldwide in Twitter. Congratulations to France. The venue of the Ryder Cup 2018 will be at the Le Golf National course which is near to Paris.